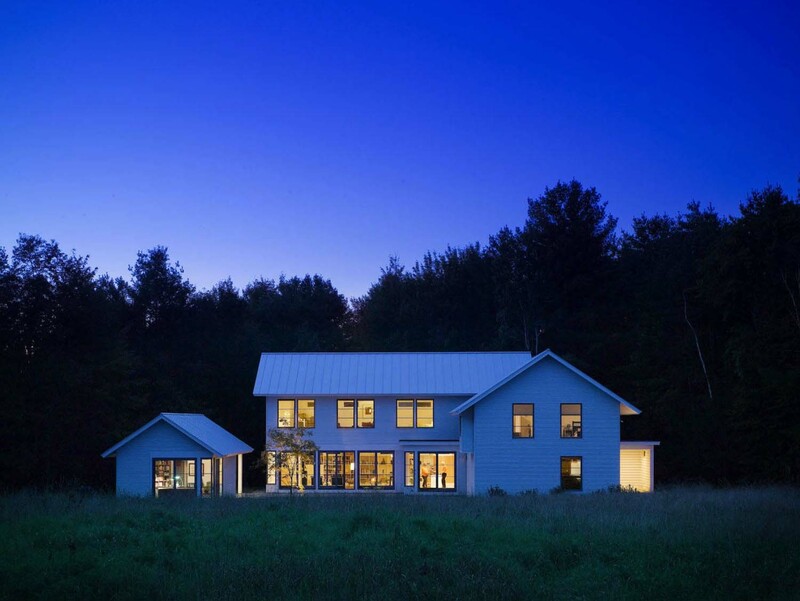 This modern farmhouse was custom designed by TruexCullins Architecture + Interior Design, located in Jericho, a town in Northern, Vermont. 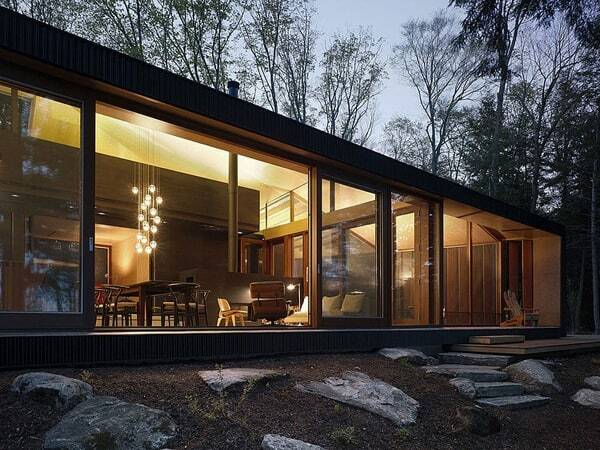 The home was sited on the property along the edge of a small meadow, encircled by a mature growth forest. 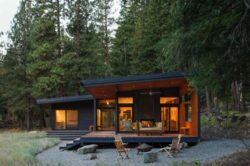 “The site concept utilizes a modest area of the meadow as the domain of the residence and a concrete retaining wall divides the domestic from the natural landscape,” explains the architects. 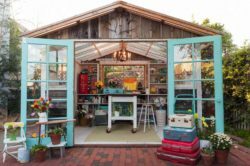 The 2,900-square-foot structure was devised into a three-part composition, consisting of the home, studio and a garage. The landscaping features a parterre garden (a formal garden consisting of plant beds in symmetrical patterns, separated and connected by paths) which is edged by a garden wall and linear orchard. 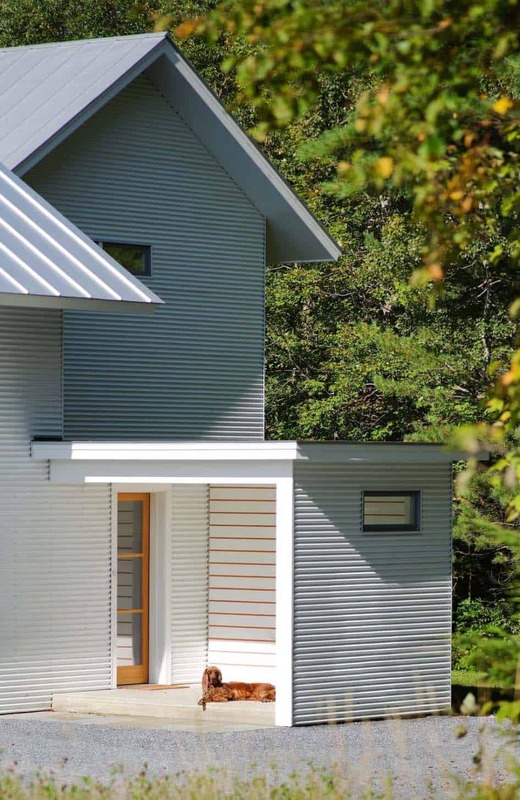 The structure is modeled after extended rural farmhouses that are in several areas throughout New England. 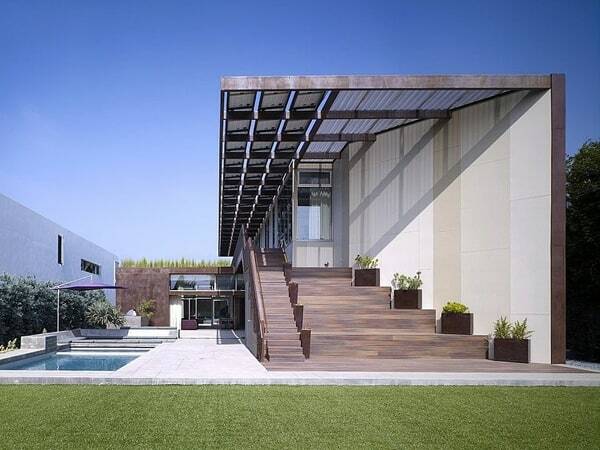 The goal for the architects was to design a home that would honor the building traditions of the region, while creating a unique perspective. “While the forms and building configurations are recognizable, they utilize contemporary, efficient building materials and methods that are economical and environmentally-friendly,” states the architects. 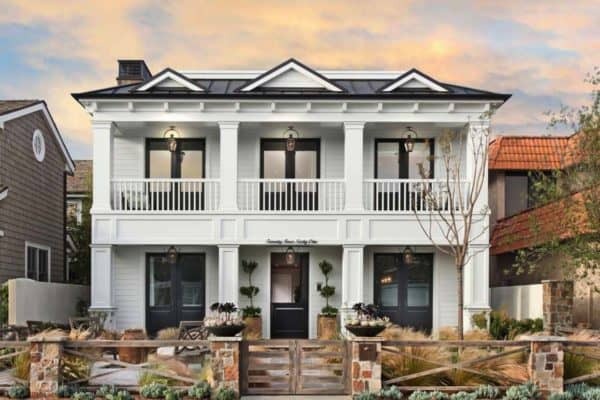 What We Love: This modern farmhouse showcases clean lines and a minimal design aesthetic surrounded by beautiful landscaping. 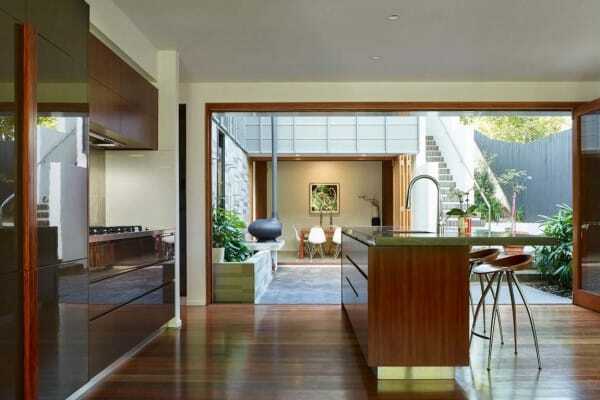 Loving how the greenery from outside has been brought into the interiors in the furnishings and finishes. 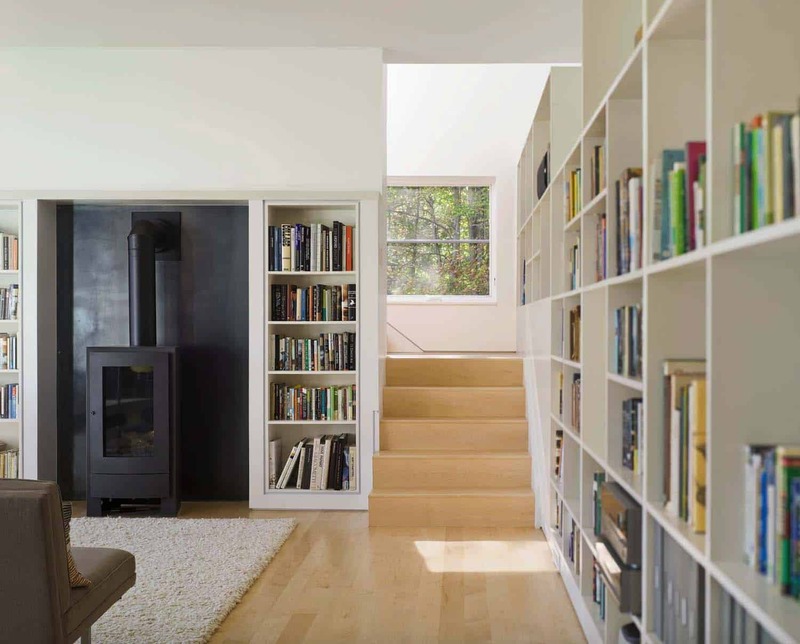 The wall of shelving in the great room provides a simple and stylish aesthetic that is very functional. 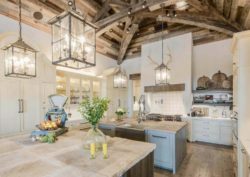 The natural light is magnificent, the architects have created a beautiful living space for the homeowners that we would be happy to live in!… How about you, could you picture yourself living in this abode? 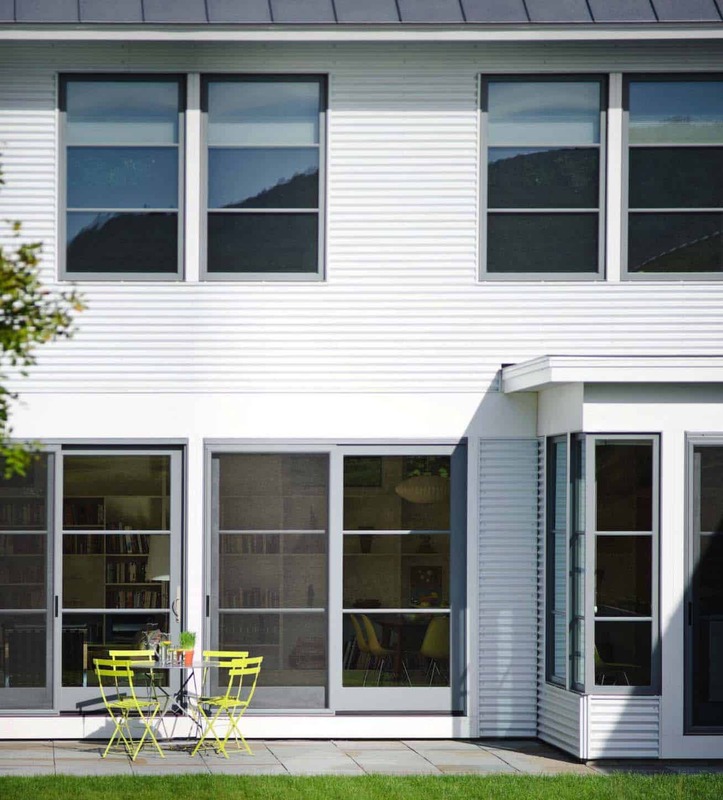 Note: Have a look at another fabulous must see home tour that we have featured here on One Kindesign from the portfolio of TruexCullins Architecture: Traditional farmhouse style dwelling in Vermont with a modern twist. 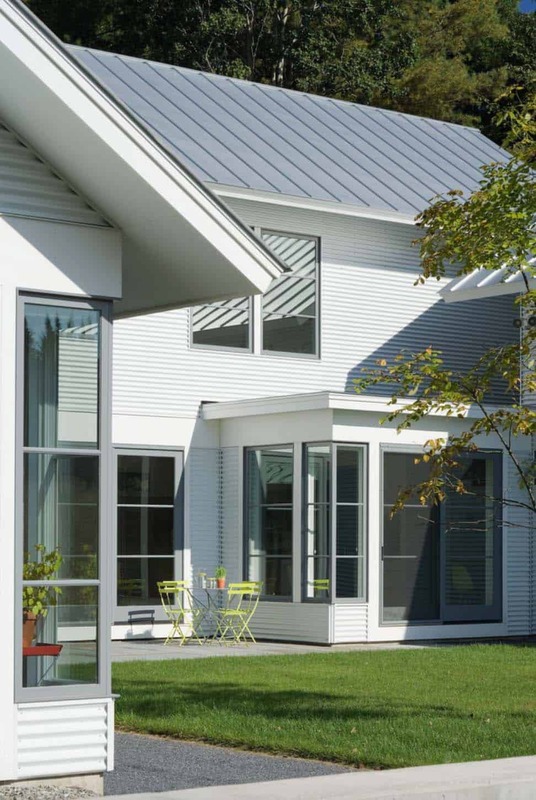 Above: The exterior of this modern farmhouse highlights a standing seam galvalume metal roof, while the siding is white painted corrugated metal. 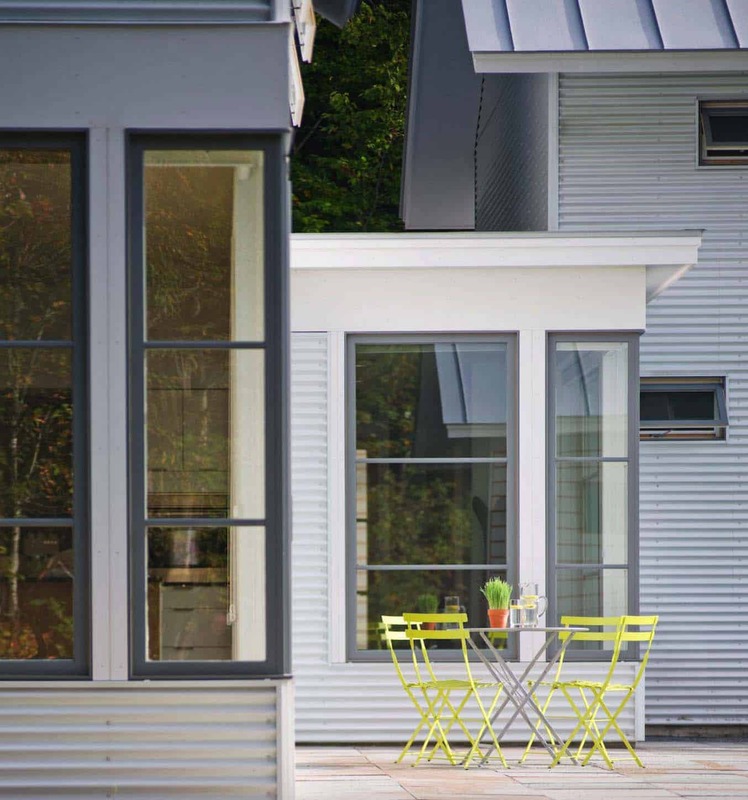 The windows were sourced from Marvin Windows and the color is cumulus grey. 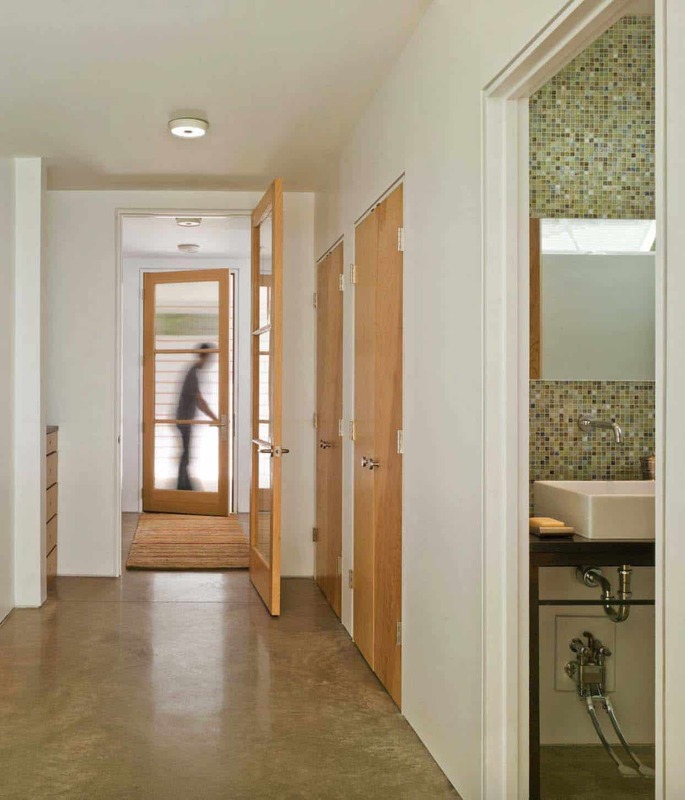 Above: The flooring is honed and polished concrete, the contractor for the flooring was Vermont Eco Floors. The doors are comprised of Douglas fir. 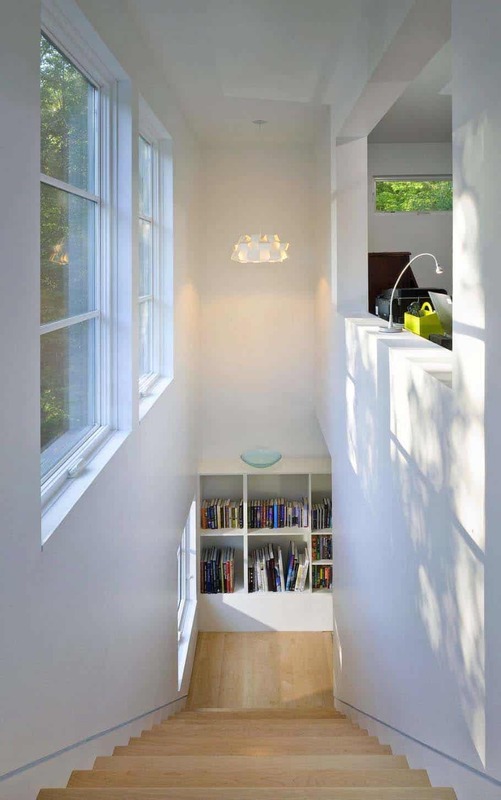 Above: The flooring in the main living spaces is Sugar Maple with a clear finish. 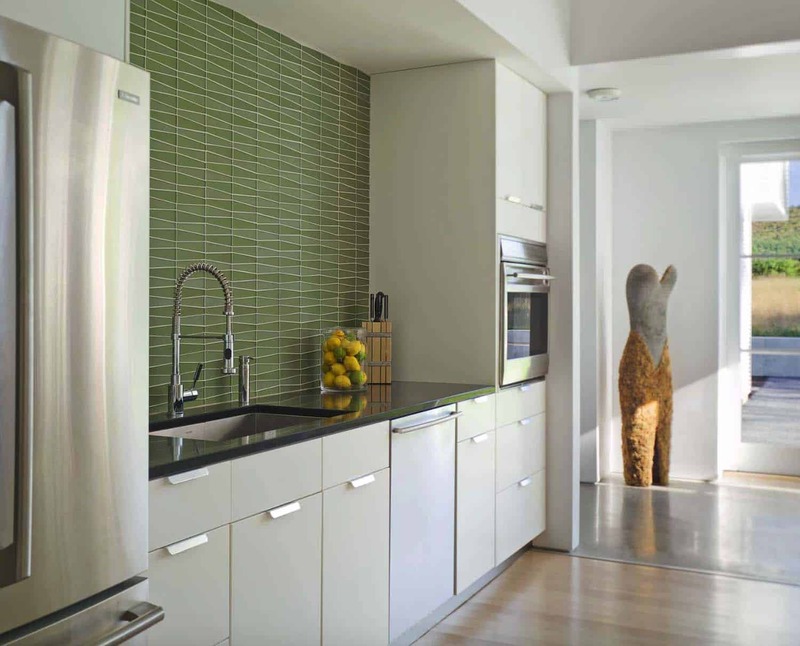 Above: The backsplash tile in the kitchen was sourced from Island Stone, the pattern is Waveline and the color is Reed. Although it appears that there are two colors, there is just a singular color applied here. As the slight variation is due to the depth of the tile from row-to-row, creating a two-tone effect. The countertops are Silestone in the color Nightmist. 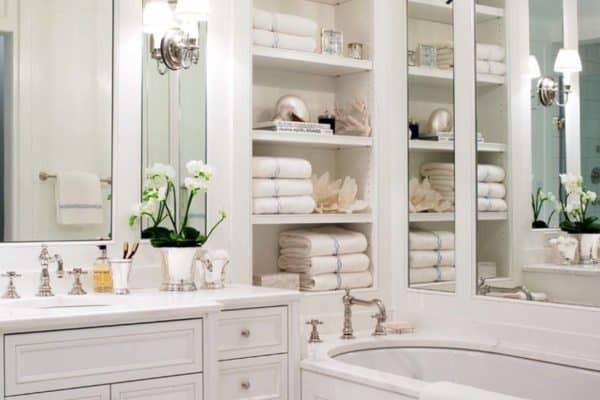 The cabinetry is Akurum base cabinets with Applad white fronts, sourced from Ikea. Above: The wall units from IKEA provides plenty of space for books and to display personalized decorative accessories. Above: The living room features a direct vent gas stove, the Nestor Martin RH35 by Fiamma Fireplaces. The material behind the fireplace is a blackened steel metal sheet. 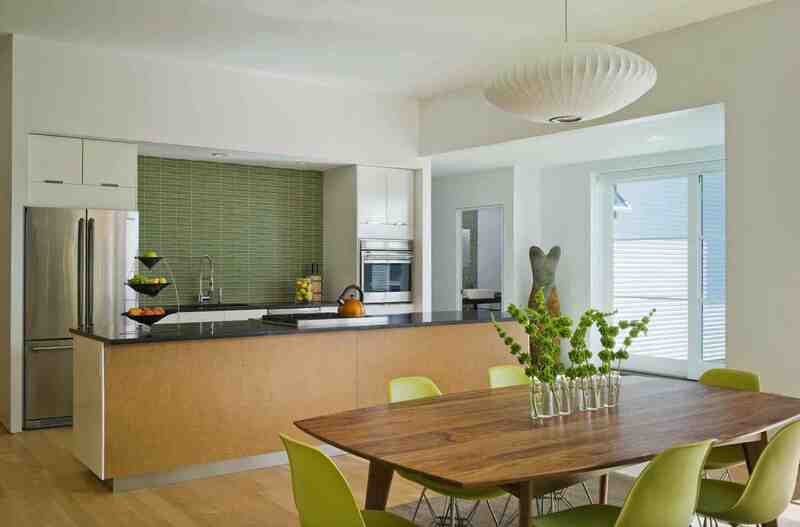 The green dining table chairs are the Eames Molded Plastic Side Chair with Eiffel Tower Base by Herman Miller. Above: The bedroom flooring is Vermont-grown select maple. At the foot of the bed is the Nelson Platform Bench sourced from Design Within Reach—$729. Tip: If you want a bench with a similar aesthetic for much less, go to the Overstock website and keyword the Nelson Platform Bench. 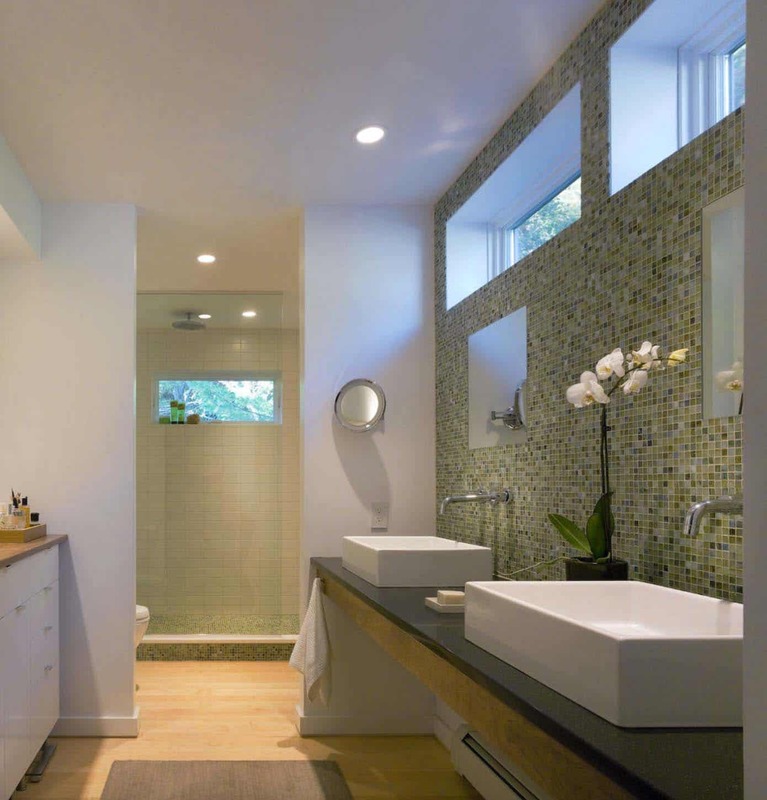 Above: In the master bathroom, the exquisite mosaic tile backsplash is Vihara recycled glass from Sonoma Tilemakers and Silk Jade from Best Tile.